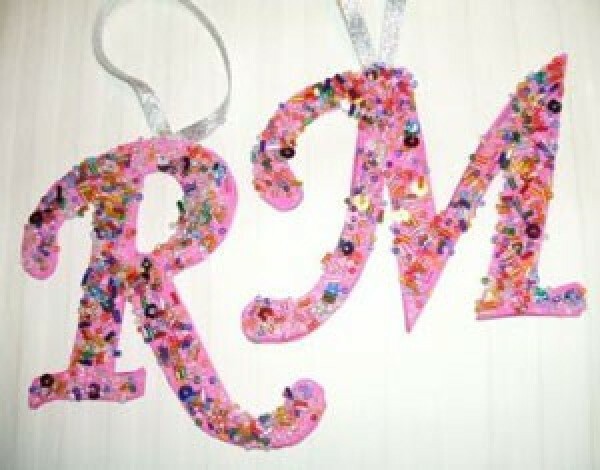 Using someone's initials you can make many kinds of personalized crafts. 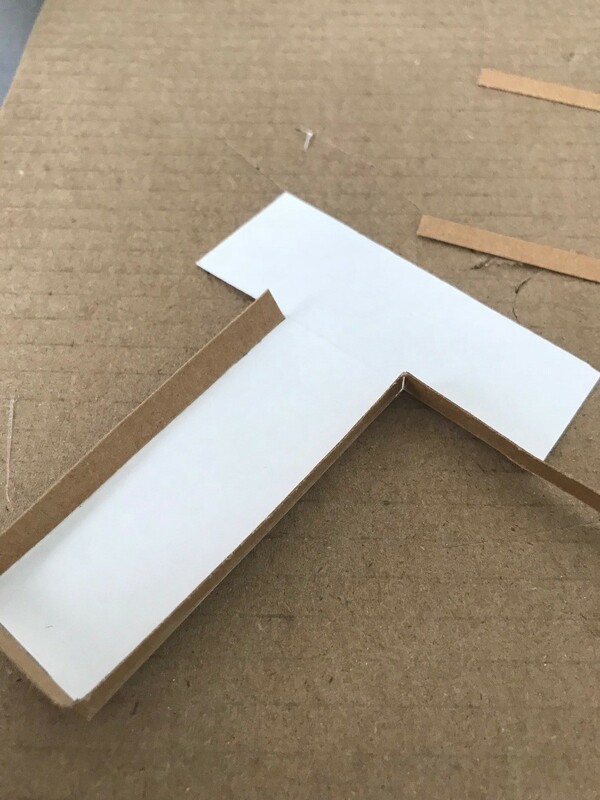 This is a guide about making monogram initial crafts. 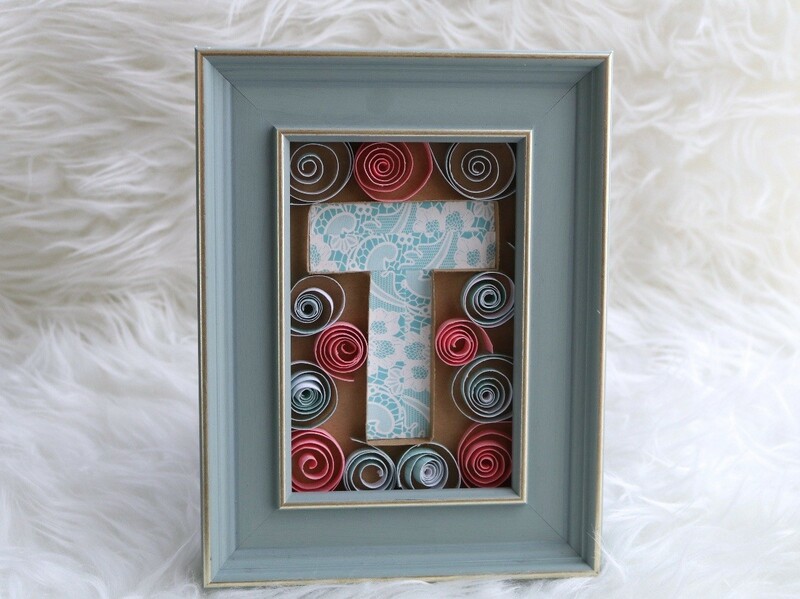 I made this monogram initial picture frame for friend who is expecting. I thought it would be a nice simple pre-Mother's Day gift. 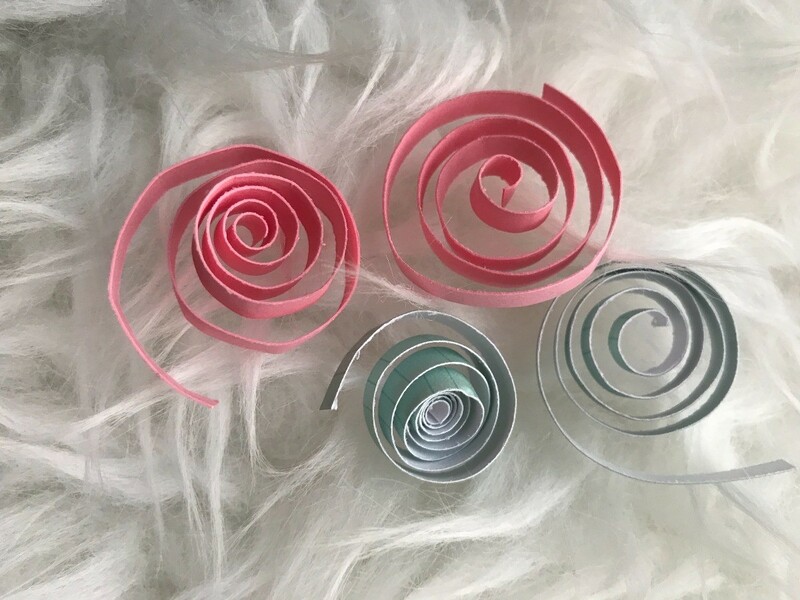 This technique can be used for party accents, weddings, and home decor. 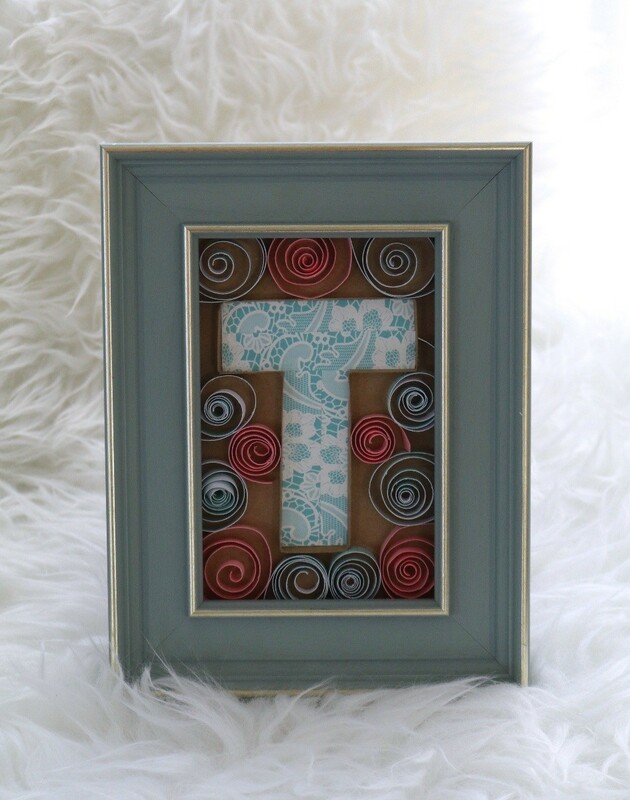 Buy or find a picture frame you would like to use. 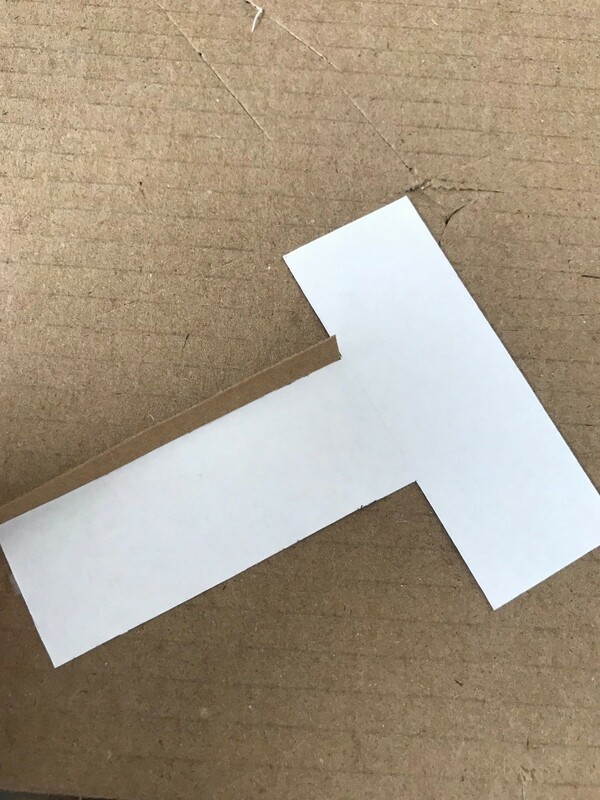 Figure out the base color paper you want and cut to fit your frame. I used kraft paper. 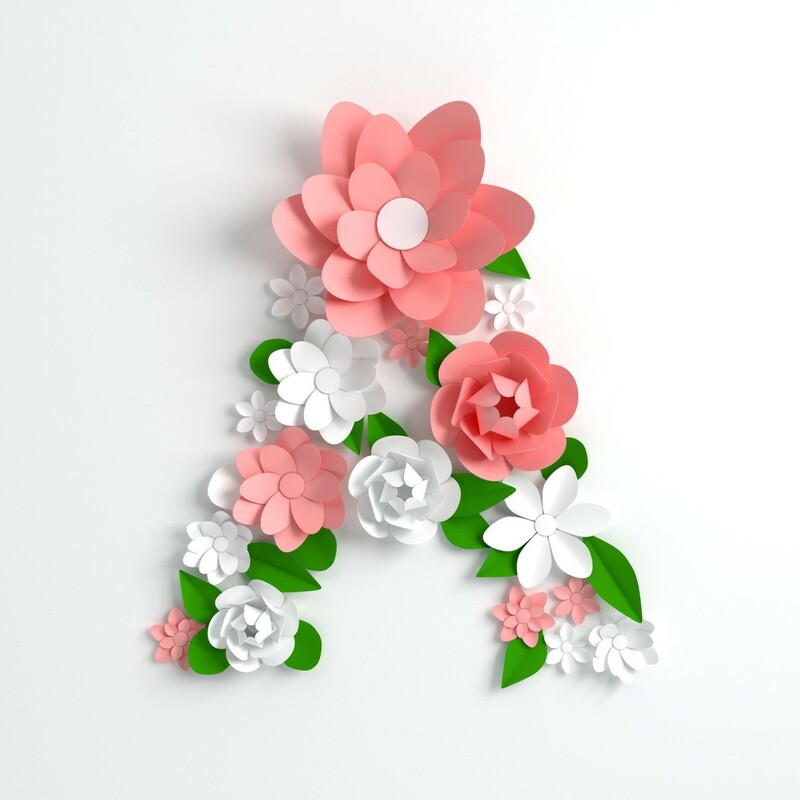 Freehand your initial letter and use an X-acto knife to cut it out. 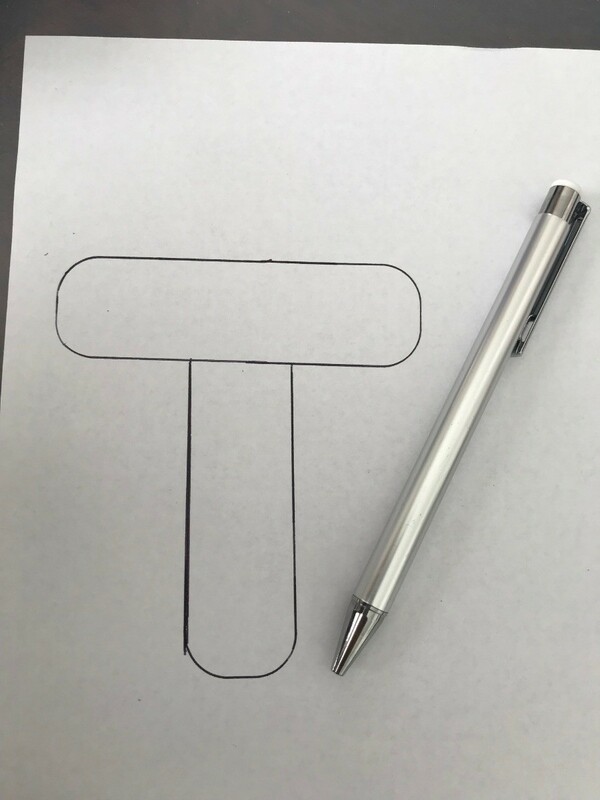 I ended up drawing a rounded T, but I figured out straight edges would be best. 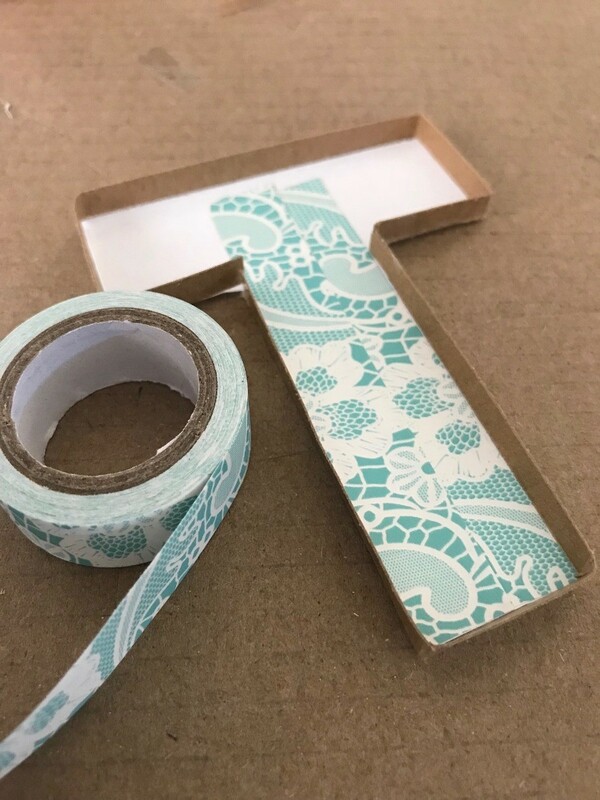 Using the same base color (kraft), I cut thin 1/4" strips. 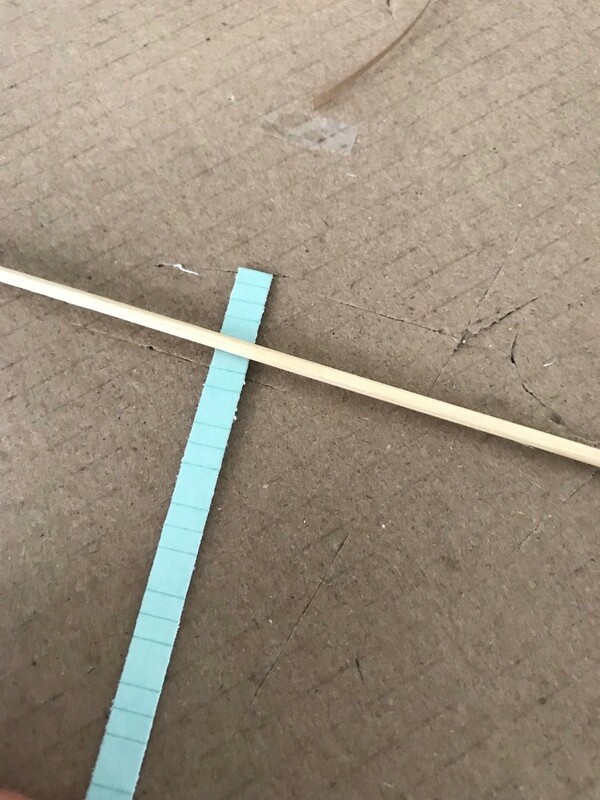 It is up to you how thick you want your strips to be. 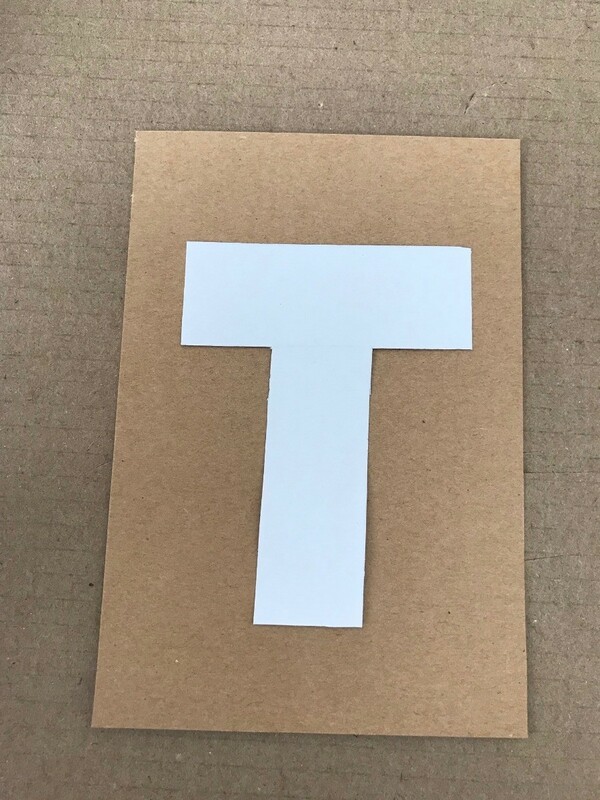 On the back of the letter, apply tape around the edges and go along the edges with the 1/4" strips. 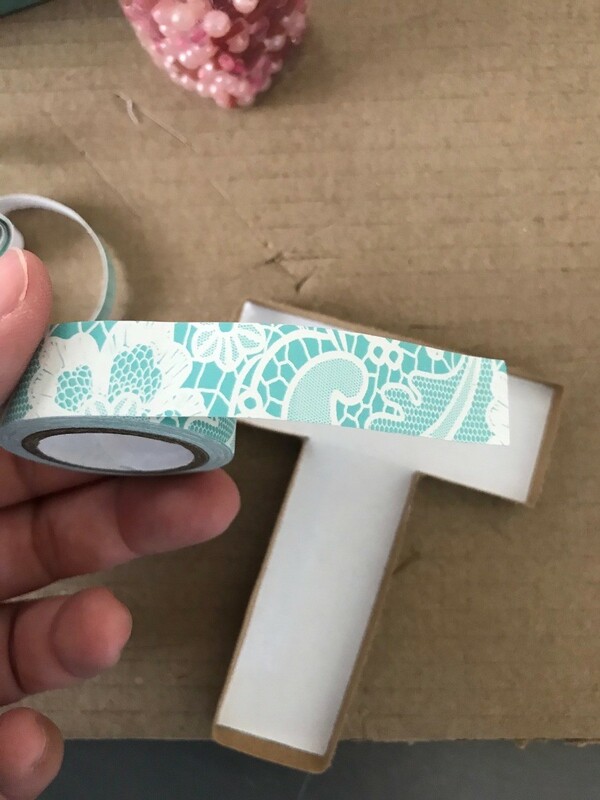 You can leave your letter as is (white), or use washi tape like I did to enhance the letter. 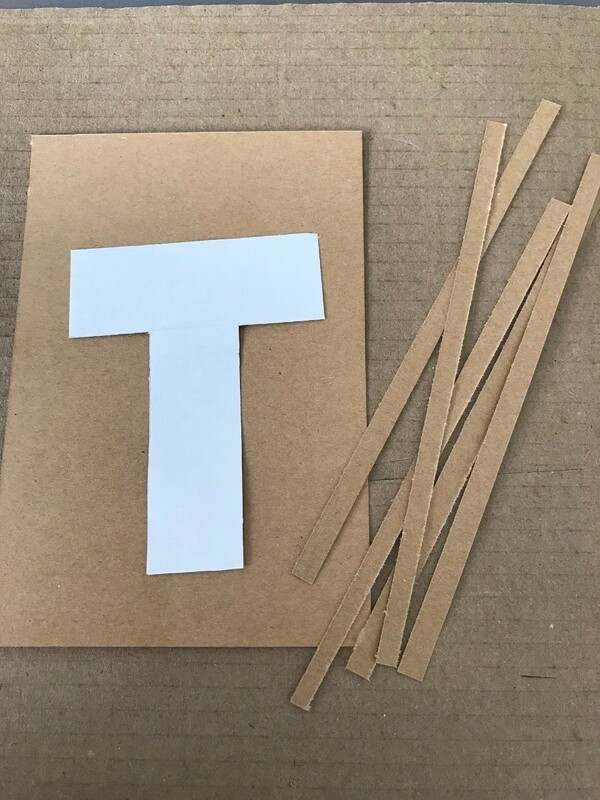 Then glue to secure the letter to your base paper. 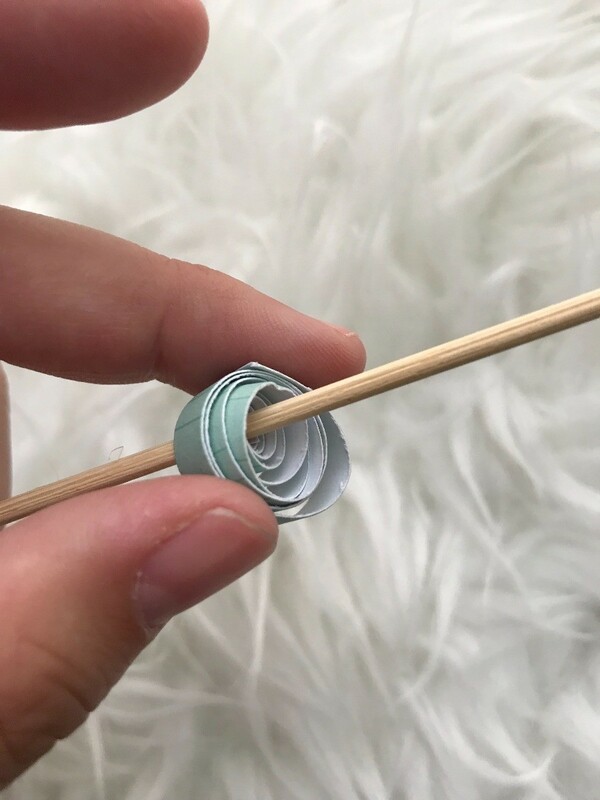 You can be done at this step, but it felt plain so I cut more strips of 1/4" paper in teal and pink and wrapped around wooden stick for a swirl effect. 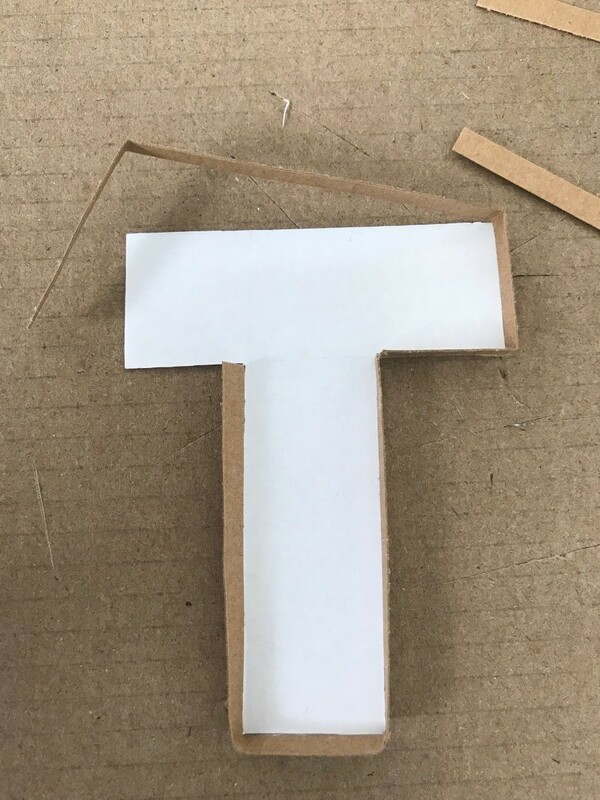 Make enough to be able to glue and secure to the outside of the letter for a nice touch. 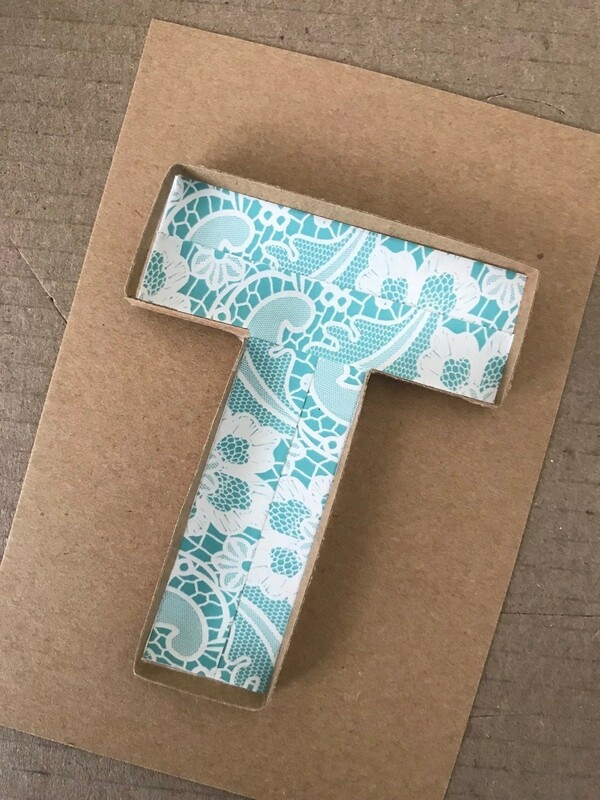 My daughter and I saw some cute monogram ornaments in a high end gift shop that sold for $7.95 each. My daughter wanted one, so I told her I could make them for pennies. 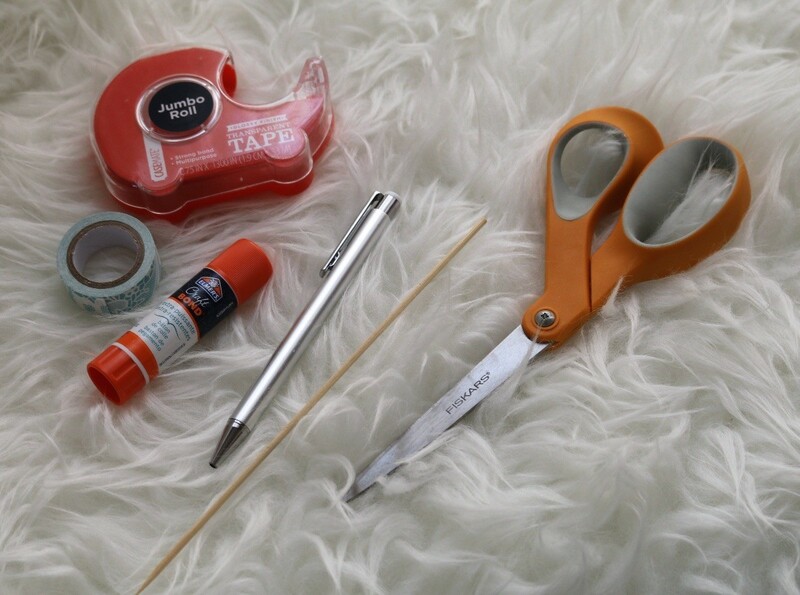 I already had most of the supplies on hand leftover from other projects. 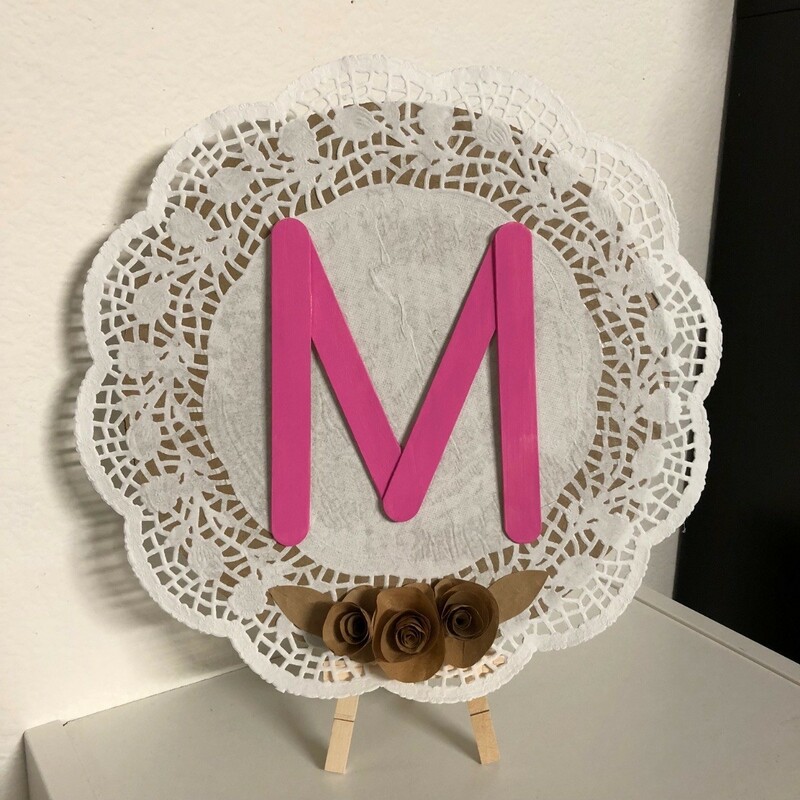 I made this monogram initial sign for my office space. I recycled a pizza cardboard circle as the base and a wine paper bag from the market to make the flower and leaf detailing. 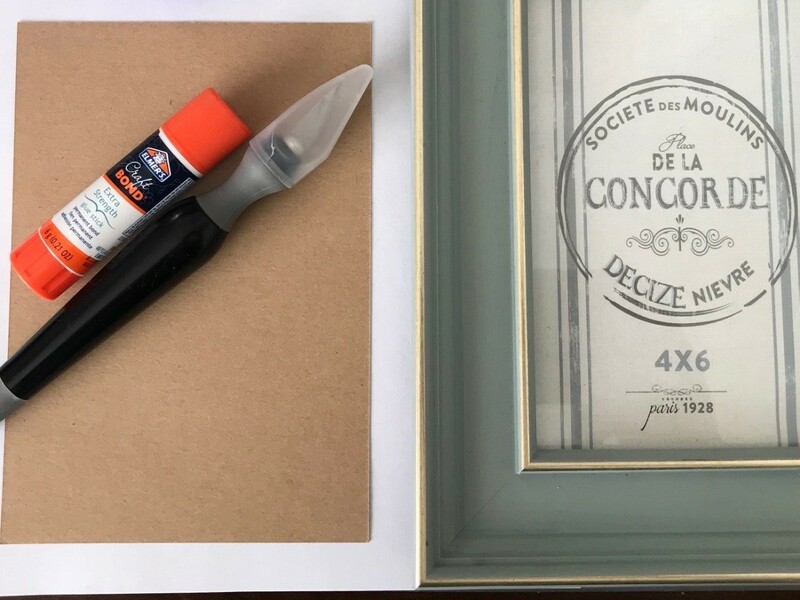 The rest of the items needed for this project are items you probably already have (or can purchase at an inexpensive price). 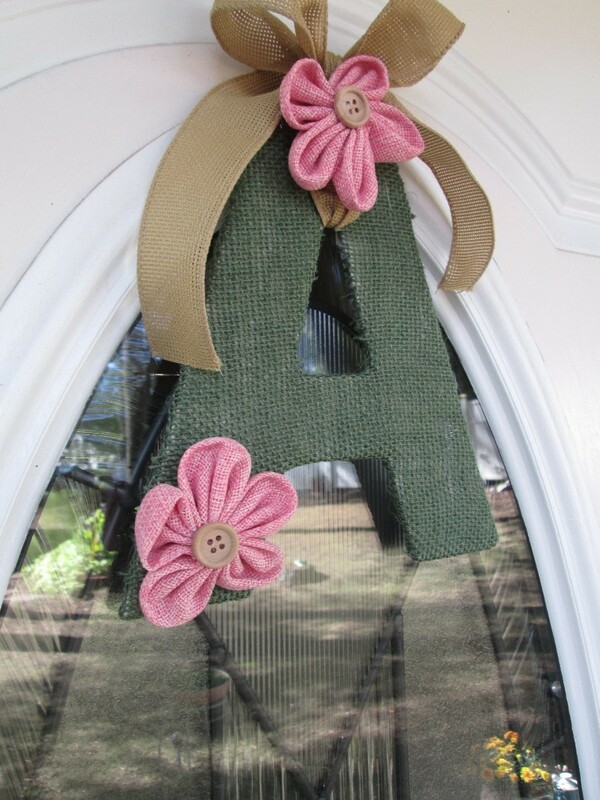 With a cardboard cut out and fabric, this monogram letter comes to life. Here are some simple and easy steps to follow.